Good morning. Well, the weather hasn't changed at all. Tis still gray, gloomy, damp and in the 50's. I'd love to be able to say that it sort of grows on you after a while, but it doesn't. Rather, it saps a lot of your energy and makes you tired. Of course, I'm only speaking for myself. Folks, have you noticed? Today is the last day of September. Tomorrow will be a brand new month. Where has all the time gone? Want something else to think about? There are only 86 more days till Christmas and Hanukkah. Actually, Hanukkah starts at sundown on Christmas eve. Wow, talk about time flying by!!! Well, yesterday, I didn't really stick to my proposed schedule of chores. (what else is new?) Instead, I chatted on the phone for a while with my friend Beth, and then with my Aunt Lucy. Once I thought that the new phones had charged enough, I unhooked the old phone and hooked up the new one. So, take a guess. Did that get rid of the static and other noises in the phone line? Absolutely not!! Oy vey! Will I ever have a clear phone line again? So now I called the cable company again to see if I can talk to a technician. It must have been my lucky day, because the first person to answer my call (after several minutes of very annoying recordings) was located in the United States. She was in Texas, to be exact. There are several branches of the cable company located near me, all within three to forty five minutes by car. But in order to get technical help, I have to speak to someone in the Philippines or Texas. I guess this is what they call progress nowadays. Ah well, at least the nice lady said that she would try to help me. So, for a few minutes, she was doing all sorts of things that were making the static get louder, then much softer, then gone, then louder again, etc. etc. etc. Next, my internet went out. Good grief, Charle Brown!! Then the phone line went totally quiet, I mean like dead! I held on though, and finally I heard a dial tone. Excuse me? Did she just hang up on me? By now I was really down hearted. I really don't want to have to call back because there's no telling what country my next call will be routed to. So, I waited a couple of minutes, took a deep breath to calm myself down, and pressed the "call" button to call the cable company again. Wait, the phone is quiet. No noise, no nothing. In fact, it is suspiciously quiet so now I don't even know if it is still working. I may as well try to call someone to try this thing out, so I called my daughter Deanne and SIL Eddie answered. Woo Hoo!! My phone works! After all that, I'll have to keep the user manual handy all the time until I have this new phone all figured out. That should keep me busy for a few months. I keep wondering though why that technician couldn't stay on the line long enough to tell me that she had fixed the problem. Do you suppose that's how she gets back at us crabby callers? She just leaves us dangling till we figure out that we are done? Aye yi yi!! Yesterday I promised to take a photo to show you where my little birds sit outside my window. I've drawn yellow arrows pointing to the two braces where they sit. I also took a cute photo of Pogo in his favorite spot every weekday afternoon. 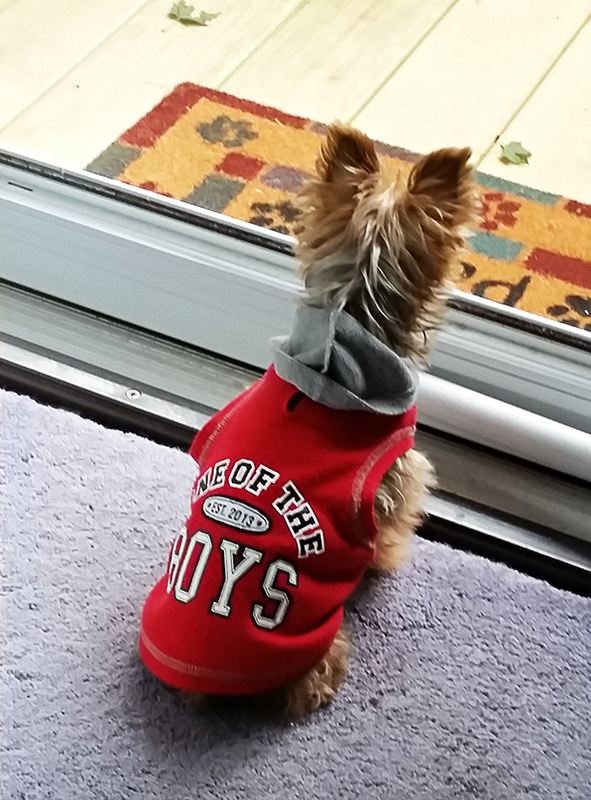 He's waiting and watching for Joe to come home from work. He's very patient, and will wait there as long as it takes for Joe to get here. This morning, I got up to make a cup of coffee, and I just had to grab my phone and take a photo of my little guy. 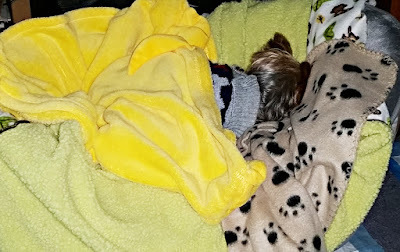 As I've mentioned before, the nights are rather cool now, so last night Pogo curled up on his little sofa, all wrapped up in three of his fuzzy blankets, and slept the whole night through. He was still asleep, so I had to be very quiet. Folks, this sight makes my heart so very happy. In a little while, I'm going to get dressed and head on out to Walmart to do a bit of grocery shopping. Joe does not want to go shopping this week, so I'll go this morning and get it over with. It won't be crowded there yet, so this won't take me very long. On this happy note, I'll take my leave. So, till Sunday, Y'all have a fantabulous weekend. See you in October!! Good morning. Tis still a bit gray and dampish outside. I guess it's supposed to be like this for a few days, gray and damp with bits of light rain sprinkled in here and there. Daytime temps are running in the 50's. I guess it's time to call the furnace cleanout guys. I don't like to run the furnace until after it has been cleaned. I love taking photos while it is raining. As long as I can keep my camera dry, it's an opportunity to get some really nice photos. I especially love photographing rain drops on plants and flowers. At just the right angle, raindrops on leaves and petals look like glistening diamonds. Well, yesterday turned out to be a rather busy day. I'm not so sure about how productive it was, but it definitely was busy. I spent a few hours shredding materials that I've been setting aside in bags to wait their time at the shredder. That time came yesterday. By the time I was done, I had filled up a large trash bag. Soon after that, my daughter Deanne called to tell me how her interview at the Police Department went. We were all so nervous and worried for her because the officer was not in a very nice mood when he first called to make her appointment. However, she made it through the interview, and left there in a good mood. She should be getting her LTC (license to carry) by the beginning of December. Congratulations Deanne!! We're both missing our time at the shooting range this week because of all the colds in the family, but the instructor should be calling soon to give us an appointment for next week. We look forward to our time there. It is both challenging and relaxing at the same time. My new phones arrived yesterday, and I quickly unpacked them and plugged them in to a wall outlet. They have to charge for sixteen hours to get a full charge. The base phone will plug directly into my cable modem, and my SIL Eddie says he will hang the other phone on the wall near my bed. So, this afternoon, I'll be able to hook up my new phone. After that, if there is still any noise or static in the phone then the problem will definitely be at the cable company, not my house. My little birds were all lined up outside my window this morning in hopes that I would bring out some food for them. I'll have to take some photos to show you where they sit while they chirp out their requests. They are all so darn cute. Sometimes one or two of them will sit on the windowsill and peck on the window to get my attention. How can you not love them? Well, now it's time for me to get busy around here. I have two piles of magazines and junk mail to go through before I can put them out in the recycle bin. (there's more than that, but that's what I've set aside for today) So, till tomorrow, Y'all have a fantabulous day. Good morning. Tis looking a bit on the gray side this morning. The temperature is 57F degrees, where it will probably be the high for the day. According to the weather app on my phone, the next four days should be in the 50's both day and night with bits of rain here and there. I'm thinking we can kiss all the nice warm stuff goodbye. boo hoo, boo hoo. Remember I said that the cable repair technician was coming by this past Monday? Well, he came by and looked everything over. He tidied up all the wires on the outside of the house. Over the years, the phone and cable companies would come out to make necessary repairs or adjustments and leave all their old wires still attached to the house. Of course, we had to leave the wires there because we did not know which ones to cut away and which ones to leave. Then the guy checked out the indoor phone wiring. He finally decided to plug my phone directly into the new modem. This bypasses all the old phone wiring. The only problem was -- the phone was still noisy and filled with lots of static when you are trying to use it. The solution would be to buy a new phone. So yup, you guessed, I promptly pulled up Amazon on my laptop and ordered me a new phone. It should arrive today, and then the battery will have to be charged overnight. Hopefully, by tomorrow night, I should have a good working house phone again. Today I have a new quick page for you. This one celebrates the season for harvesting. Have fun with it. Everyone in daughter Deanne's house is finally beginning to feel a bit better, so hopefully my cold will be disappearing soon too. Today I need to attach my new registration sticker to the plate on my car. The old sticker is only good for two more days. Now I think I'll have me a second cup of coffee and give some thought to the mischief I can get into today. So, till tomorrow, Y'all have a fantabulous day. Debate #1. Did You Watch? Good morning. 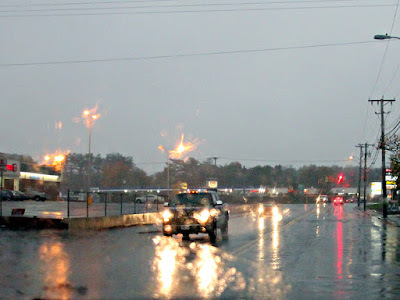 Tis gray and wet here this morning. Not a lot of rain, mind you, but it's wet and that will make the grass and the plants happy. Temps last night were a little warmer, in the 50's. So, I did not need to turn on the heat. Now if we can just keep those temps from going any lower, that would really be nice. Last night I worked on my afghan again. However, it doesn't seem to be liking me too much. For every two rows I put on, I had to rip one out. Obviously, I did not get very far. Here's a photo of the afghan. My mind is just not focusing. Or maybe it's the lighting. I've tried switching over to the new LED bulbs. No matter what the packaging says, these bulbs are just not as bright as their counterparts. I put in a 100 watt bulb, and it only seems to show like a 75 watt bulb. Maybe this is my problem. I like bright light for when I am crocheting and knitting. I'm thinking that I might be switching back to the old bulbs. Well, did any of you watch the big debate on TV last night? Did it meet your expectations? Or did it leave you needing a lot more information? Well, hopefully those unanswered questions will be addressed in the next two debates. Some of my friends and family are rallying for one candidate, and myself and the others are rallying for the other candidate. I have purposefully kept my political thoughts off my blog. We all have the right to support and vote for the candidate of our choice. However, this all brings me to mention about all the voter fraud that goes on around the country. The news media can dismiss it all they like, but it is happening, and it should be stopped. Non citizens should not be voting, (it's the law) but they do. In some counties, there are more votes cast than there are residents living there. There have been reports about dead people voting. Really? I myself have seen several people in one voting booth all at the same time. If you can't read and you can't write, should you be voting? If you need a group of people showing you where to put your "x" s, then I have a problem with this one. Then, of course, there's the newspaper article from the last election, that stated how the government has already decided who will win the election, and therefore our votes don't count anyway. The news media is definitely unprofessional. If they don't like you or what you have to say, they don't print anything positive about you. TV stations won't carry your ads if you are not the party they are backing. Tell me, is this really right? Is this called "professional"? 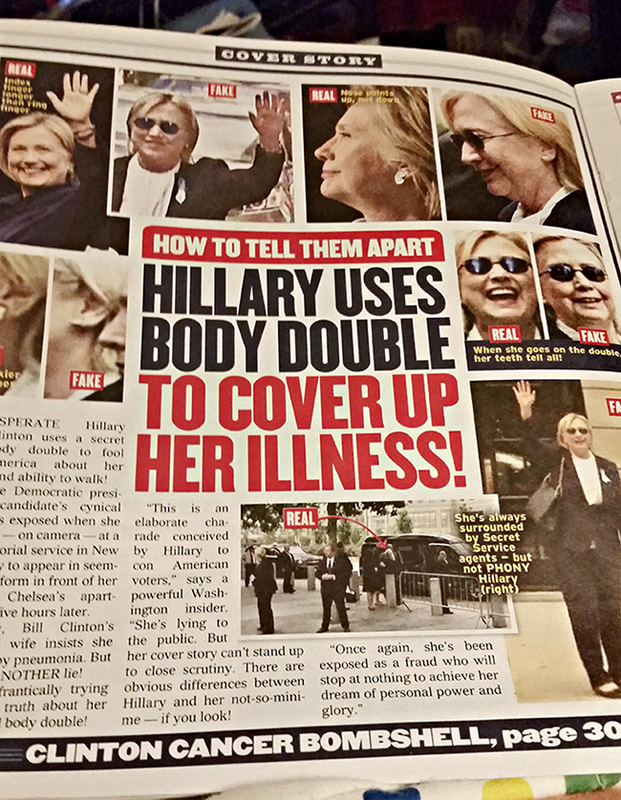 The media, I thought, is supposed to report "unbiased" news and information. They should never put their own prejudices in the news. Is this what so many have fought and given their lives for? So that the government and the news media can push people around to make them do things their way? Why can't we play fair? Why can't the media print only the honest news, for both sides, and let the American people decide for themselves who they want to vote for? Okay, nuff said! May the best person win and may America heal her wounds and grow strong again. Now I think I'll catch up on some blog reading. So, till tomorrow, Y'all have a fantabulous day. It's Just Too Soon To Be This Cold!!! Good morning. 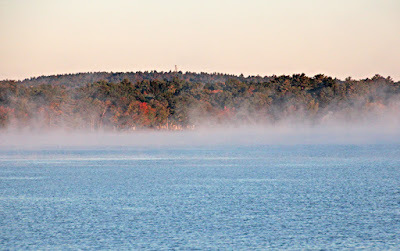 Tis another Brrrrrrr morning here in New England. Too brrrrr for me! This morning, I finally decided that it was time to turn on the furnace. It will come on tonight when the temperature goes down to 40 degrees again. As you can see, I am not so crazy about shivering while under my blanket. I guess this makes me wimpy, and that's okay. I spent the whole night trying to keep warm and filling my wastebasket with tissues. Everyone at Deanne and Eddie's house is sick with colds that are going around. So, I guess maybe it's not my allergies that is keeping me miserable. Maybe I have that nasty cold too. Goody. Just what I need right about now! Today, I think I'll have to sit down and pay some bills. As a matter of fact, I just took a break to write out the checks and get them out to the mail box for pick up. Now I can breathe easier. My wallet is whining a little, but I'm happier when there are no bills due. Yes I know, my head is in the sand. There's another whole batch of bills coming in the mail any day now. I went looking into my photo archives to find a couple photos for today. 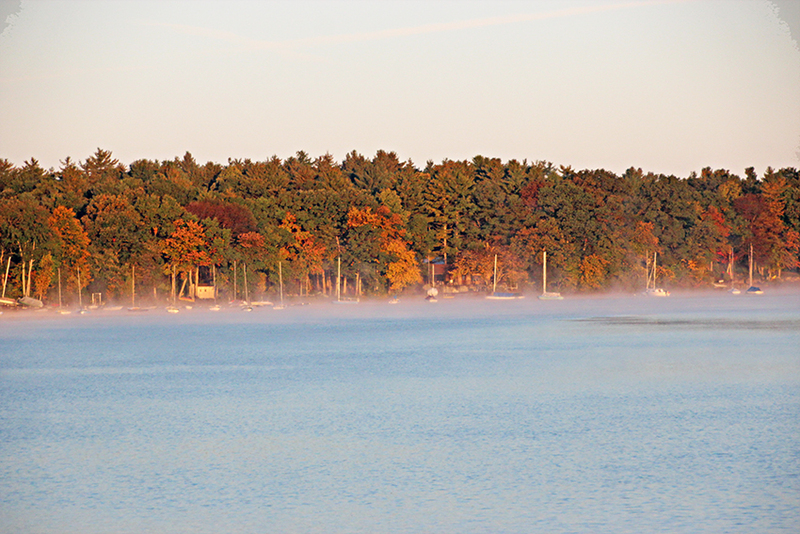 These two show the mist rising on the pond very early on an Autumn morning. I took these on my way home work a while back. The first shot was taken just before the sun rose up over the tree tops. The second shot was taken a little while later while the sun was rising. I used to love stopping by the pond to watch the sun rise and take some photos. Once in a while I would catch some interesting shots of water birds. 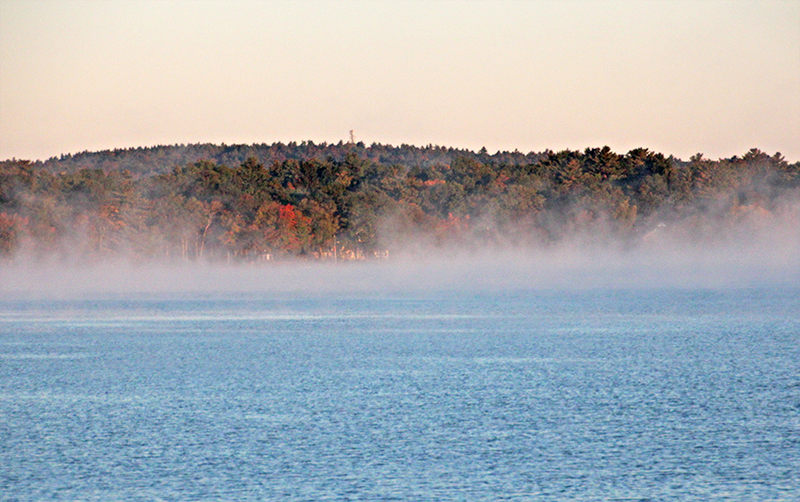 With or without the birds, it's very restful to watch the mist rise up off the water. A few days ago, I ordered a few new beads and charms so that I can finish off all my bracelet projects. Unfortunately, I was not able to get them through Amazon, so I'll have to be patient and wait for them to get here via the regular snail mail. Gosh, I've been so spoiled by Amazon that it feels odd to have to wait for things to get here. Seeing as how the temperature is a wee bit on the cool side, I think maybe I'll crochet a while today. 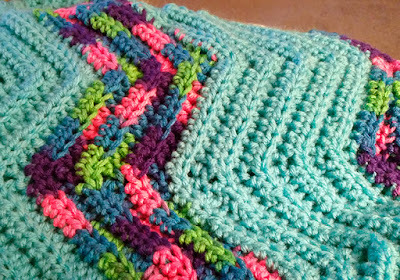 I still have more than half of the last afghan to finish. Who knows, maybe I'll even watch the big debate on TV this afternoon. The cable company is sending a technician out this afternoon to fix the outside phone wires. There has been a lot of static and other sorts of noises in my phone line since my new modem was put in. It will be nice to be able to use the phone again without all the noises. It's Puff's Tissues Time Again! Good morning. Brrr, I do believe these cooler temps are just not my cup of tea. There's cool, and then there's c-o-o-l! We only made it up into the lower 60's during the day yesterday, and down to the 40's for overnight. Sad to say, this is probably going to be our norm now till the cold sets in. Yesterday, Pogo and I did not go anywhere. For some reason, I could not get out of my own way. I just did not feel very good and my arms were sore where I got my shots. My allergies are kicking up so I'm quite stuffy all day, and this does not help the yucky feeling. Maybe today we can at least take a short ride to the park, or for a McDonald's hamburger. My little Pogo deserves at least that much. He's such a good little doggie. He wears a sweater all day or all night because I am cold, and he never complains. 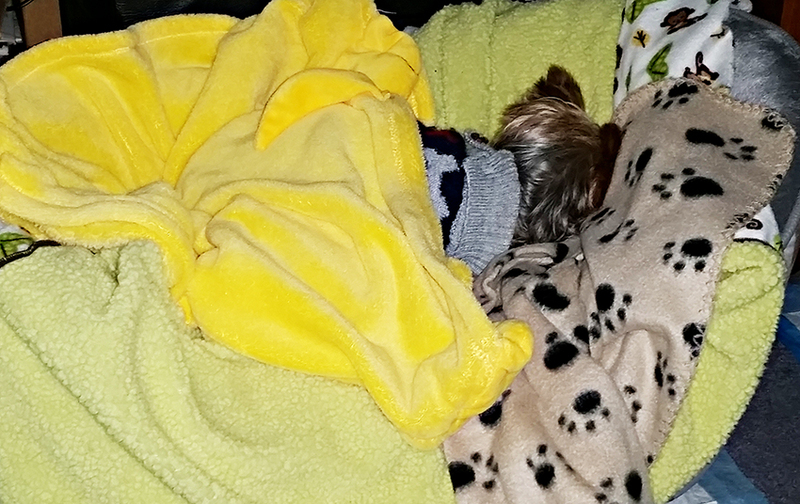 In the wee hours, he even ate some dog food because I did not want to get up at 4 a.m. to cook him something to eat. What can I say? I'm down to my last two boxes of Puffs tissues, so I hope I can get out soon to re-stock. The last thing I need right now is a bright red nose! That's what happens when I have to use the generic tissues. I keep a couple boxes of them on the pantry shelf, but I really don't want to have to use them right now. My legs have not been so good lately, so last night I started to spend a few minutes on the stepper machine. Actually, I only do one or two minutes at a time, but if I do this several times a day, I'm hoping it will help to keep these old legs working right. 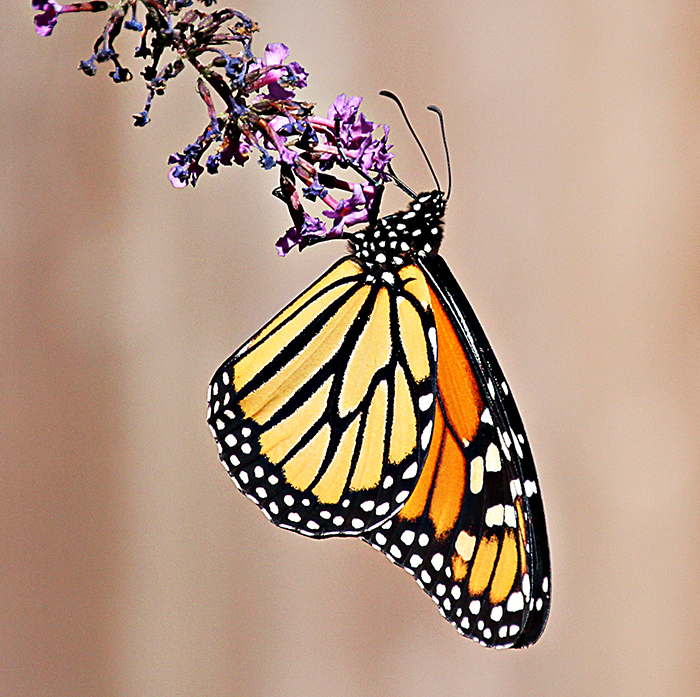 I dug a couple of pretty butterfly photos from my archives to share here today. This purple bush was the one that we lost from the heavy snows a couple winters ago. 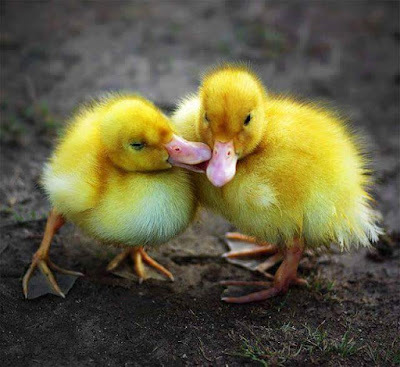 I have one more really cute photo to share with you today. This one is just so adorable. I found it on the web, and I don't know who the author is. But it sure put a smile on my face. Isn't this just the cutest little thing you ever saw? Here's hoping it will brighten up your morning. Now I'm going to finish my coffee, even though it's already cold. So, till tomorrow, Y'all have a simply wonderful day. Good afternoon. Goodness, I'm late today, but I slept in a bit this morning and then I had to rush to get dressed and go to the store to pick up some of my meds. While I was there, I found a really pretty outfit for my daughter Laura's birthday. It's over a month away, but if I came back in a few weeks to get this outfit, the store probably wouldn't have it. While I was at the Walmart Pharmacy, I got a flu shot and the Prevnar 13 shot to help prevent pneumococcal pneumonia. The symptoms for pneumococcal pneumonia are (1) chest pains with difficulty breathing, (2) high fever and shaking chills, (3) excessive sweating, (4) fatigue, and (5) a cough with phlegm that persists or gets worse. For some folks the cough and fatigue can last for weeks or longer, even after treatment with antibiotics. This sounds a lot like what I had a couple of winters ago. I had all these symptoms, and it lasted more than two months. None of the prescribed antibiotics seemed to be working. 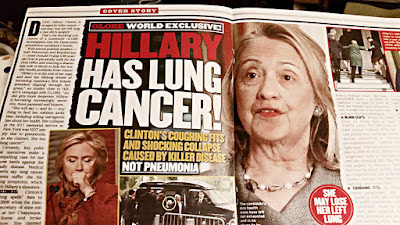 While I was sick, one doctor told me that I did have pneumonia, but no one mentioned pneumococcal pneumonia. Hmmm, makes me wonder. Anyway, I certainly do not want to get that sick again. At the moment, I'm on the phone, trying to contact the service department of our cable company, Comcast. So far, I've had to put up with two different agents in the Philippines telling me why I cannot talk to a repair/service department in the United States. I don't know about you, but this is extremely annoying. Whatever happened to the good old days when you could call the company on a local number, and get an appointment to have your phone equipment repaired? Eventually, I got to speak to an agent in Virginia, and she gave me a a service appointment for next Monday afternoon. Yesterday, while I was grocery shopping, I picked up a copy of the Globe newspaper. 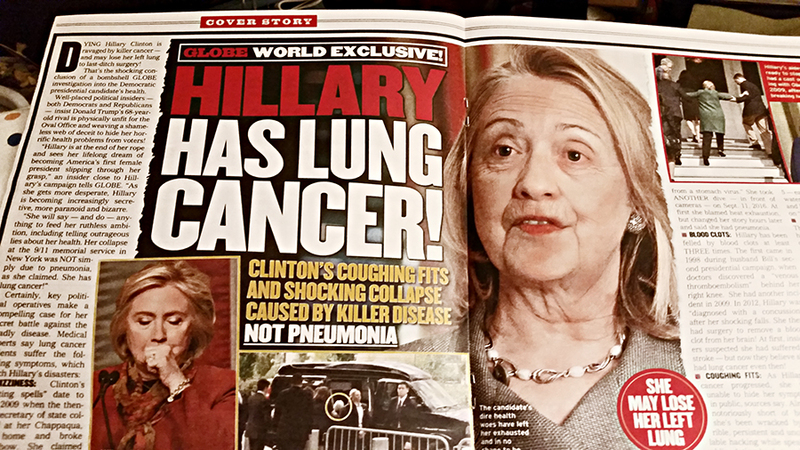 There was a huge article in it about Hillary Clinton's health . Hmmm, I don't know how much of this is true, but if anyone does have information about this please let me know. 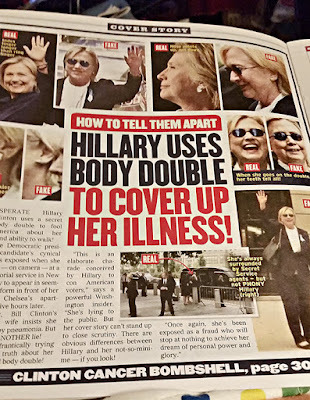 Here are photos of the article. 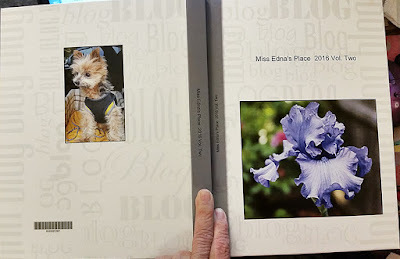 On a brighter note, my new blog book arrived a couple days ago, but I had to call the printing company because all the photos in half of the posts were missing. I first checked with my blog to make sure there were no problems, and there were none on my end. The company checked my order and found out that there had been a problem with the printing, so they are going to send me another book. Here's a photo of 2016 Vol. Two. 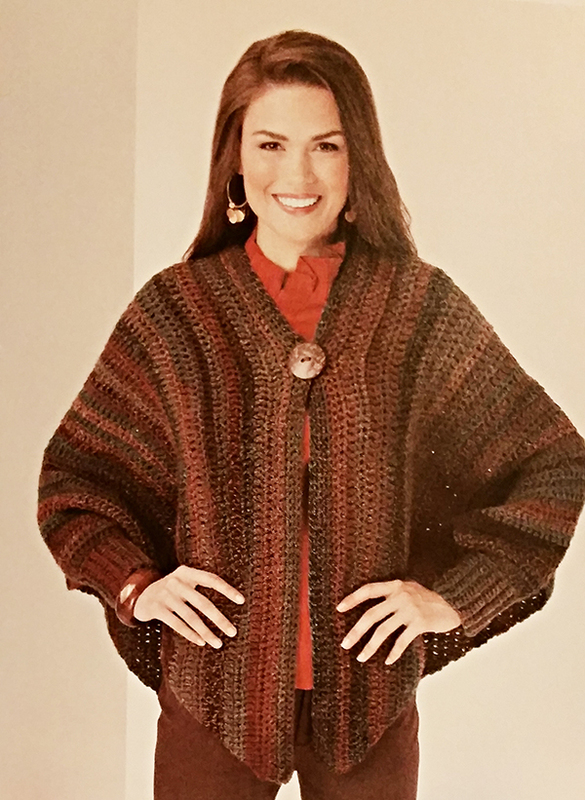 The other day I found a new pattern book for crocheted shawls. It has a really pretty cuffed sleeve version of a shawl that I might try to make. Unfortunately, it calls for bulky yarn, which I don't usually use. Here's what it looks like. What do you think? Yesterday, another charm bead that I had ordered arrived in the mail. That enabled me to finish off another bracelet. Gosh, all the bracelets look so pretty. I promise to take photos, which I'll share after the Christmas holidays. Pogo is looking at me with that "starving" look on his face, so I think I'll have a look in the refrigerator to see what looks tasty. So, till Sunday, Y'all have a fantabulous weekend. Good morning. 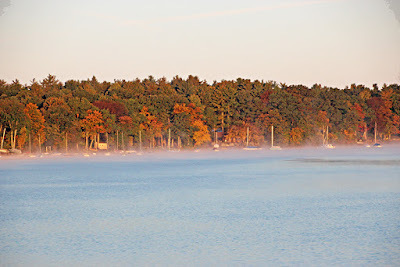 It's another gorgeous day here in my little part of New England. Have you noticed that it is already Autumn? Ahhh, and a simply gorgeous Autumn it is!! Starting this Saturday, the weather is supposed to be quite a bit cooler for a few days. (according to the weather app on my phone) I guess it has to happen sometime, but I'm not ready yet to give up all this gorgeous weather. Yesterday was another of those "gosh, I was busy all day but I can't remember doing much of anything !" days. By suppertime, I didn't feel like cooking, so Joe cooked some hamburger for Pogo. I supplied the hamburger. I have to say that his burgers come out tasting much better than mine. How come? There's a lot of talk and news articles about the upcoming voting about lifting the cap on limiting charter schools in some cities. I, for one, don't think we should have charter schools. The money to fund them comes out of the regular school budgets. I think that charter schools should be private schools requiring tuitions and private funding. I do believe that if all of our school funds were put into our public schools, all children would benefit. I believe in neighborhood schools. I think that this builds stronger communities. If someone feels that there is a better school for their child/children, they should have to pay to send them somewhere else. We all pay taxes so that our children can be educated. If this isn't good enough, then pay for something else. All members of a community should work together to make sure that their schools are good places for the kids to learn. Anyone not happy with their neighborhood school has another option. On-line schooling. And it's free!! Of course, a parent would most likely have to stay at home to make sure that their child is really doing their school lessons on the computer. Oh dear, here again, parents would have to take part in making sure their child is actually learning and getting a good education. This obviously isn't a very good option for working parents. This brings me back to why do we need to fund charter schools when the money would be so much better spent on our neighborhood public schools. I think children who play, learn, live and pray (at their own places of worship) together have a better chance to build strong, healthy communities. Okay, that's my little rant for today. 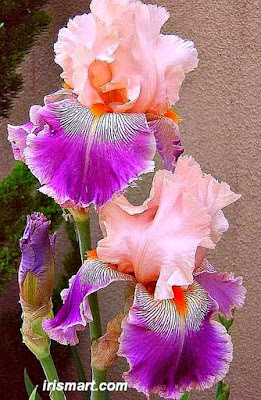 Now I have a photo to share of a really beautiful iris. You can go to Google and look up "Tall Bearded Irises at Iris Mart" to see lots of beautiful irises. Isn't this gorgeous? I think I need it for my garden. I looked up this web site, and OMG! I started making a shopping list. Oh, these irises are simply breathtaking. Unfortunately, it's too late to order for this Fall's planting (from this company). I'll have to shop around at the local garden centers. 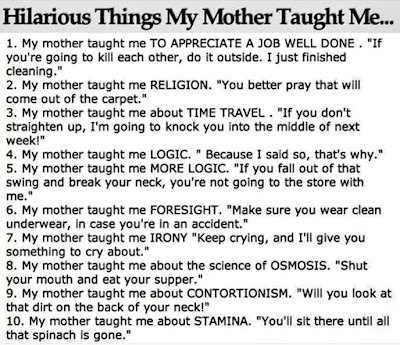 Do you remember all the wisdom that your Moms tried teaching you while you were growing up? I found this on Facebook and had to borrow it to share with you. 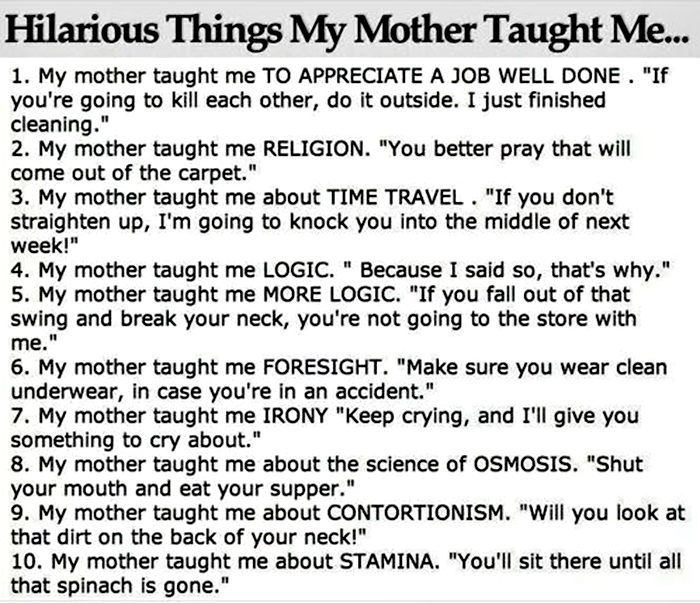 Some of this may sound a bit corny, but most all of us passed all this same wisdom on to our own children. On this happy note, I think I'll take my leave and see if Pogo wants to go for a ride, or better yet, shopping. So, till tomorrow, Y'all have a fantabulous day. Good morning. I know I sound like a broken recording, but how else can I describe the weather here? It's simply gorgeous outside today, sunny and 71F degrees with a soft breeze. It will get much warmer by noon time, but I'm really enjoying this awesome weather. Of course, it would be even better with a day or two of rain every now and then. I drove by one of our reservoirs a few days ago, and goodness grief, I've never seen it so low. Imagine how different things would be if our government had thought to build water pipe lines. Mother Nature had another lovely surprise for us a couple days ago. 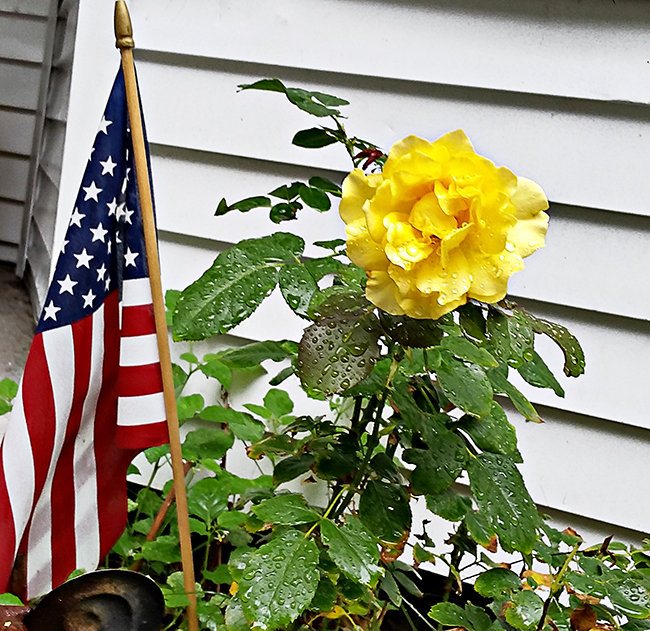 The little bits of rain that we have had brought forth another gorgeous yellow bloom in the little garden near the front door. On a brighter note, I have a new quick page for you. This one has an adorable little doggie on it. I think he's looking for someone to play with. Enjoy! This morning I'm watching "Unsolved Mysteries." I really enjoy seeing how cold cases get solved, and how family members and friends are able to be reunited. It's such a refreshing break from all the violence on TV. Last night, I watched the premiere of the new series "Bull" starring Michael Weatherly. I'm not sure what I think of it yet, but time will tell. Ever trip and/or fall for no reason at all? I've been this way for most of my life. I never did find out why, I just live with it. Thankfully, it doesn't happen often. 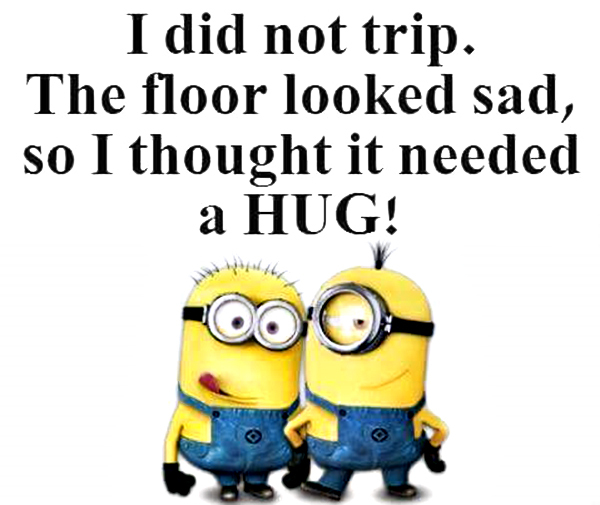 This brings me to this adorable Minion cartoon that I found on the web (and borrowed). This explains it all quite nicely. So, next time you fall down, turn it into a positive. Just imagine that you've just given the floor or the ground a much needed hug. On that note, I think I'll go see what sort of fun mischief Pogo and I can get into today. So, till tomorrow, Y'all have an awesome day. Good morning. It's really a beautiful morning. The temp is around 70F degrees, and there's a teeny tiny breeze. Sometime during the night it rained a little but it has stopped. Pretty soon, the sun will be shining and later today the temps will get up into the low 80's. If you're on vacation this week in this part of the country, be prepared for some awesome weather. Yesterday was quite the busy day. Shortly after I had finished posting here, my daughter Deanne called from work to say that her little dog Sassy was not doing so good and could I see about taking her to a doctor. So that's what we did. Kevin, Sassy, Pogo and I went to the VCA Hospital where Pogo goes. They have an emergency department so you don't have to wait for an appointment. After being checked by a technician and the doctor, Sassy had to be admitted for a few hours to have some tests and blood work. Later, around 5 p.m., Deanne, Pogo and I went back to get Sassy. Some of her test results won't be back until maybe tomorrow, so we have to wait till after that to find out what was wrong with our Sassy girl. Poor Pogo. He did his best to get Sassy's attention, but Sassy only had eyes for her mommy. I have an adorable photo to share with you. I found this on Google. There was no mention of the photographer's name so I don't know who to give credit to. I just thought that it was quite precious, and that you might enjoy seeing it. I've been looking around for some new crochet projects, and I came across this cute hat. 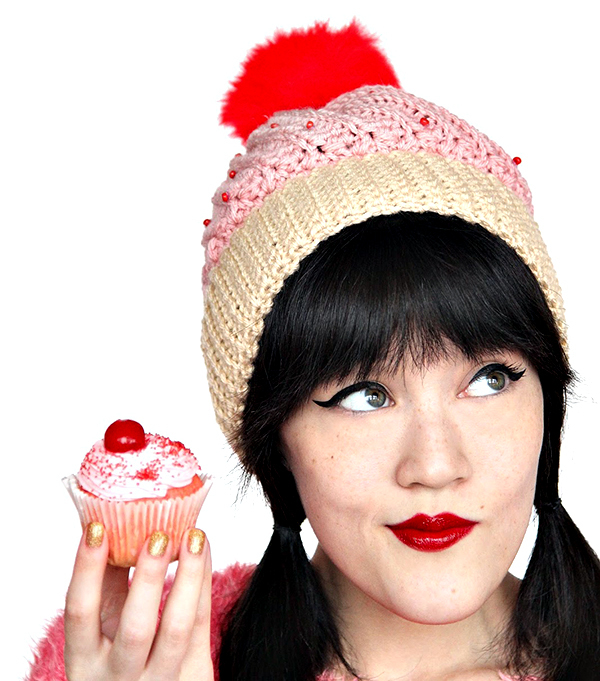 It's called a "Cupcake Hat". Gosh, I wonder why??? It really is cute though. That said, it's time for me to get dressed, and start a load of laundry. So, till tomorrow, Y'all have a fantabulous day. Good morning. This morning is cloudy with comfortable temps in the mid 70's. We got a tiny bit of rain during the night, and today we should get a bit more. A few good downpours would really be appreciated. I was chatting with my friend Rhoda over the weekend, and she told me about this awesome new type of GPS. If you don't have one on your phone, or if you would like a more personalized one, do check this one out. It's called WAZE. I looked it up, and it sounds pretty good to me. Have a lookee for yourself. http://waze.com. Yesterday, after sitting out on the porch for a while, I started playing with my new scrap kits. Well, need I say more? I got so caught up in my fun, that I never did have the time to work on my bracelets. However, I did get to make a few new quick pagers. I had to stop playing for a while because the cable repairman showed up to change my modem for a newer updated one. While he was here, he got rid of some of the mess with all the cables on the outside of the house. It looks so much better now, and my WiFi works better too. I have a cute photo to share that Deanne sent me. 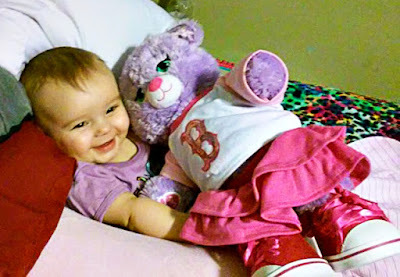 This is Aurora loving her new teddy bear that Uncle Kevin made for her at Build A Bear. It will probably take a while for her to grow big enough to pick it up, but she can still cuddle with it. 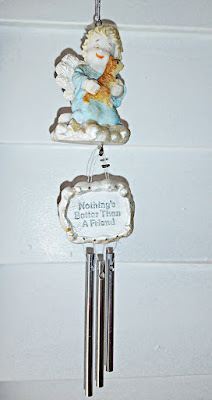 I thought I'd take a few photos of the hanging decorations that I have on my porch. There's an adorable angel wind chime that was given to me by a friend a few years ago. And then, of course, there's my friendly witch who watches over the yard and wards off all evil. So, between my angel and my witch, and of course my little Pogo, I am well looked after here. The cable guy was very impressed with how Pogo was protecting me yesterday. As long as the fellow did not move, Pogo let him be. But as soon as the guy started to move, Pogo went into attack mode. 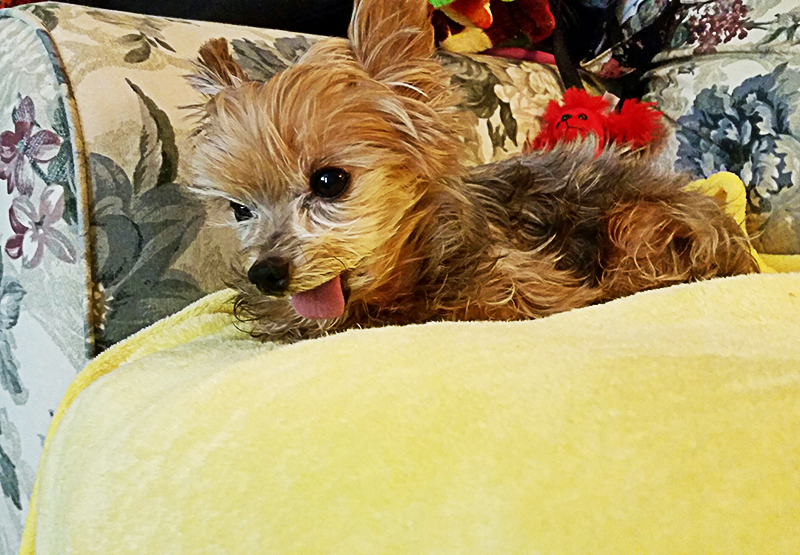 I have to say, my little Pogo really is fierce! Well, the morning is fading away, and I really should get busy doing a few chores around here. So, till tomorrow, Y'all have a fantabulous day. Good morning. It's looking really beautiful outside my door this morning. The sun is shining and there's a lovely breeze which my flags are enjoying. I don't think I ever mentioned, but we have a flag hanging by each front door. Mine and the main house. 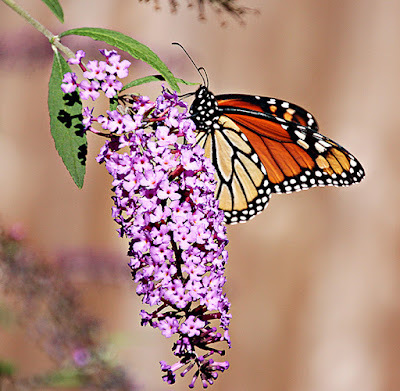 It's a wonderful feeling to watch them sway and dance in the breeze. It's 73F degrees right now, and later temps will get up to the low 82's. Like I said, it's a really beautiful morning. It's been a busy weekend so far. Yesterday, great granddaughter Alena celebrated her fourth birthday. Oh my, such a happy little girl!! She was on her best behavior all day, keeping a watchful eye on the stack of presents that she would get to open. 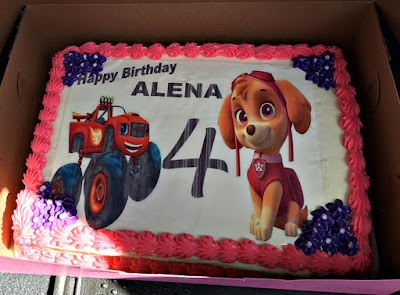 Folks, Alena is a truck and tractor sort of girl. And yup, she got lots and lots of trucks, and even a racing track with cars. 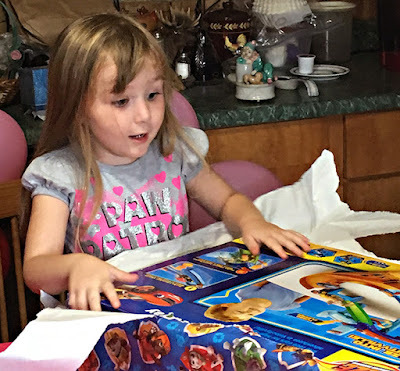 She also got her own tool box (to help Grampy fix things around the house), some crafts and even a Barbie doll. 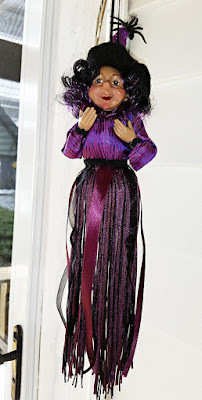 Sad to say, Barbie will probably spend most of her time on a shelf or in the toy box. On the home front here, we had a bit of excitement too. A little after ten o'clock yesterday morning, I received a phone call from the Police Department. My license to carry was there, and I could come in and pick it up. Wowzee! It only took me fifteen minutes to get dressed, grab Pogo and drive to the Police Station. I even took a few of my target sheets with me to show to the Lieutenant. I'm quite proud of myself right about now. 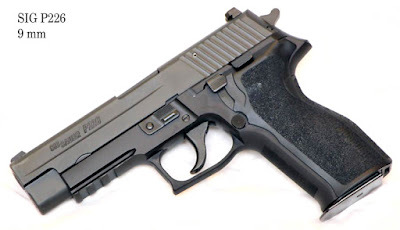 I'm not planning on running right out to buy a gun. 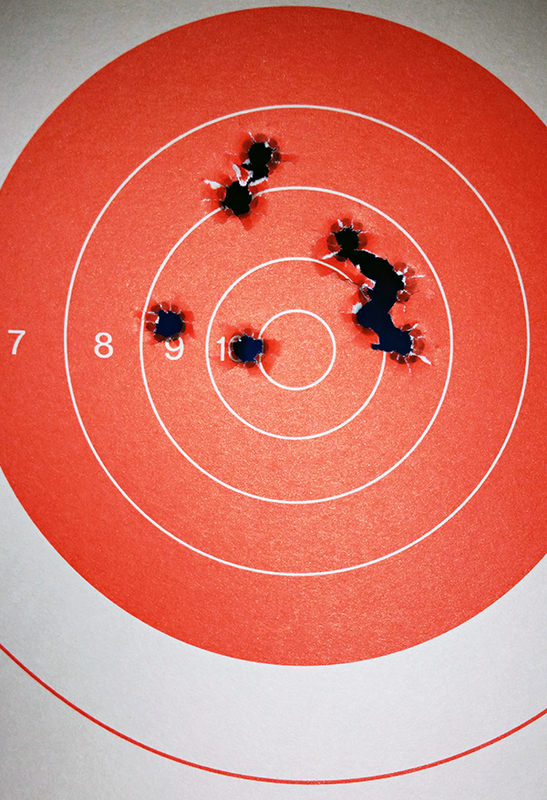 Deanne and I want a lot more practice time at the shooting range first. 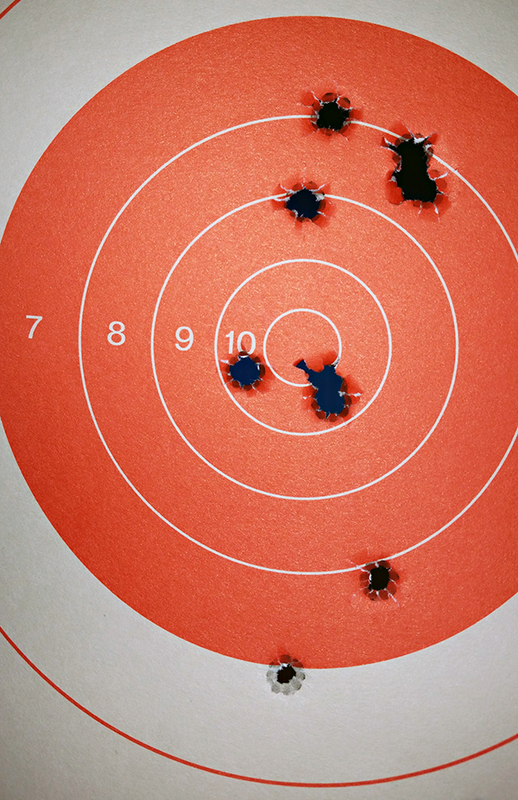 Speaking of the shooting range, we went there Friday afternoon, and my daughter Deanne was awesome! She got several bulls eyes!! I only got one, and one almost (on the line). We can't go to the range next Friday because Jazzy will be performing in a play, but we have an appointment for the following week. Friday, I did not get to spend time with Aunt Lucy because she was going out to her club to play Bingo. She says she doesn't like Bingo, so she calls the numbers. I told her that I would try to come by for a visit early in the week. A couple new charms that I had ordered came in the mail, so today I'm going to work on my bracelets for a while. After that, I think I'll spend some time on my laptop. I bought a few new scrap kits that I want to play around with. Good morning. Tis a bit on the cloudy side right now, and the temperature is only 55F degrees. However, by noon it will be up to the mid 70's. The Autumn temps are really settling in. I'm going to call Aunt Lucy in a few minutes to see if she will be home today. If she is, Pogo and I are going to visit her. Yesterday, I drove up to Concord for my niece's funeral service. The weather was simply beautiful. It was just seven months ago when I went to this very same place for my brother in law's funeral service. Yesterday's service was for his daughter in law. I know I'm at that age when I'll have to be attending lots of these services. My friends and several of the family members are close to my age, but it always hurts more when the service is for one of our children. Even Rabbi Darby had tears in his eyes and a bit of a choke in his voice. Did I mention before what an awesome speaker Rabbi Darby is? His voice is very soft, yet you feel compelled to listen to every word he says. There is so much feeling in his words and the way he speaks. Yesterday though, I noticed that as he was singing the twenty third Psalm, he was also signing. Yes, the Rabbi Darby is deaf. 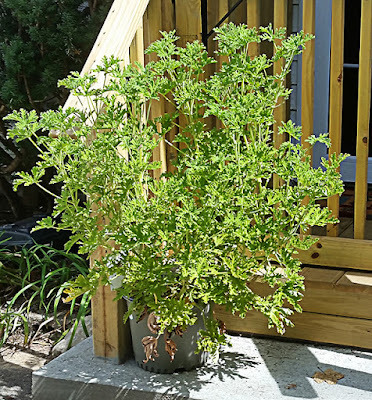 I took a photo of the Citron plant on my porch steps. It is growing so big, but now it's time for a new pot and to think about bringing the plant indoors for the winter. I've never done this before, but I think I'll try it this winter. The worst that can happen is that the plant doesn't make it till next Spring and I'll have to buy a new one. It's about time now for me to call Aunt Lucy and get dressed. I want to stop by the bank on the way out, then I can pop the bills in the mail. Pogo knows we are going out and has been keeping a very close watch on my every movement. Yesterday, I went out without him. He's not going to let that happen again today. What a guy my Pogo is! On that note, I'll take my leave. So, till Sunday, Y'all have a fantabulous weekend. Good morning. As I look out my door, enjoying how green and pretty everything is, I'm reminded that soon all of this will be gone. I'm always sad when the last of the leaves has fallen to the ground, and everything looks so bare. The weather we're enjoying now has to be the perfect "year round" weather. Of course I know it won't last, but oh my it is so beautiful! 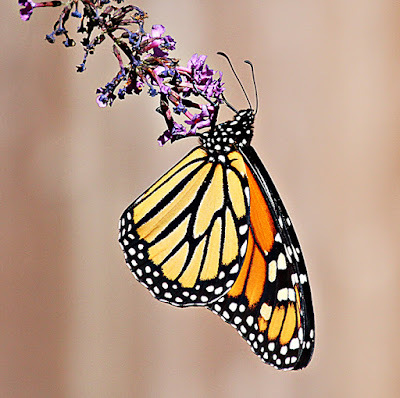 Our lives are so much like the seasons. However, for some of us Winter comes too soon. I'm not going to have time to post here tomorrow morning because I have a funeral service to go to. It's a long drive from here to the synagogue in Concord, so I'll have to be leaving here early. Thank goodness I have a GPS in my car. I promised to take a photo of the plants that adorn the front of my porch, and so I did. Next year, I think I'll pick up a few wooden crates so that I can stagger some of the plants. I love coming home and seeing all these beautiful plants right next to my steps. For some reason, my hanging plants don't do well if I leave them hanging all the time. So, every now and then, I set them down on the ground with the other plants and they seem to like this. 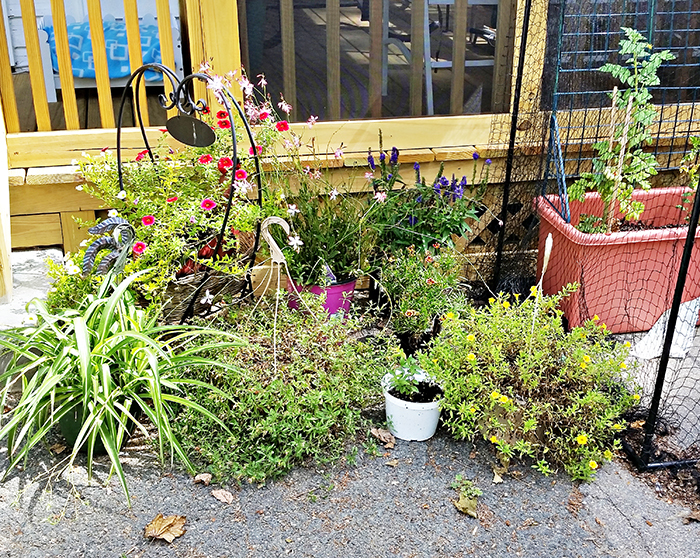 That little white pot is one of the two blueberry bushes that I planted in the Spring. Both plants died, but this one started to come back. I don't know if I should bring it in for the Winter or leave it outside to die off. I'll have to look it up on Google. I have a new quick page for you today. This one plays tribute to those yummy watermelons that we've been enjoying all summer. Mmmm, delicious! This morning I have to put together a shopping list. I'll be needing to pick up a few groceries, and a new blouse to wear tomorrow. Sadly, my wardrobe is mostly suited for housework and yard work. I tend to live in jeans, shorts and tee shirts. Then, of course, there's my trusty lounge pajamas and my housecoats, both of which also get a lot of wear. Can you imagine? I love fashion design, and yet there is nothing fashionable in my wardrobe. Go figure! Speaking of fashion design, my favorite show "Project Runway" starts again tomorrow night. I've been waiting for this for months. Before I take my leave, I have a cute newspaper ad to share. 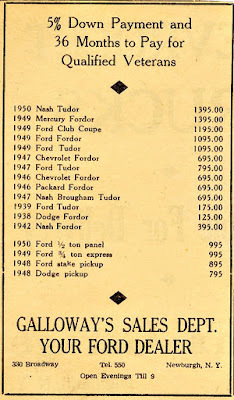 This is an advertisement for buying a car in the year 1950. 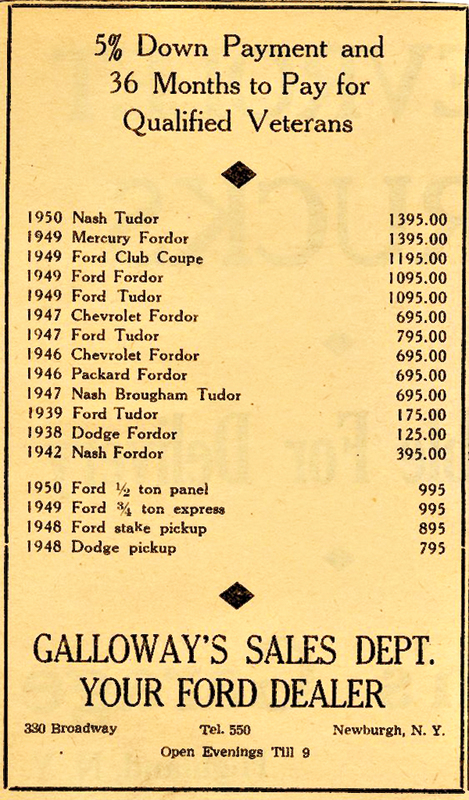 Similar vehicles to these now sell for between $28,000 and $45,000. Amazing! Well, now it's time for me to get busy here. So, till Friday, Y'all have a fantabulous day. Good morning. Ahh, it's another gorgeous morning here in my little part of the world. We are in a transitional weather pattern. Cool mornings, warmer afternoons and cool nights means that we are transitioning from Summer to Autumn. In one more week, we will be entering another really beautiful season. Spring and Fall are my two favorite seasons. Mostly the only flowers left in my gardens are the roses, and a couple small butterfly plant blossoms. 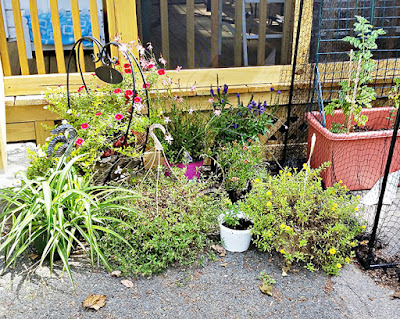 Except for the plants in front of my little porch. I'll take some photos of them to share here. 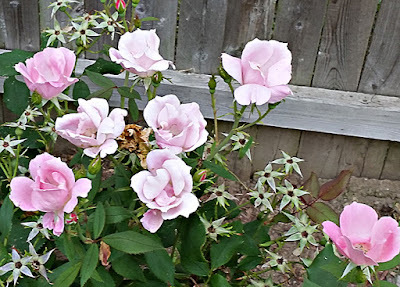 There are a couple rose plants that only produce one or two roses each year. This is one of them. 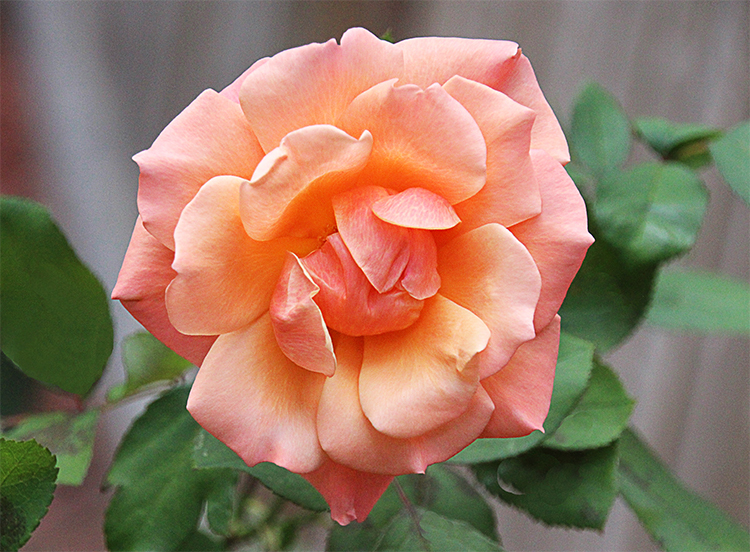 We've already had one of these gorgeous blooms, and hopefully we'll get one more before the season is over. 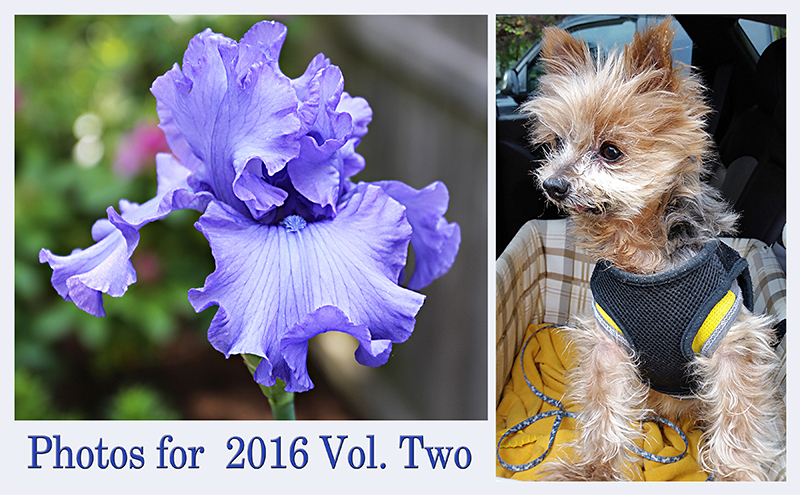 Yesterday, I picked out the two photos for the covers of my newest Blog Book, which I ordered yesterday. If you're planning on making a book, have a look at www.Blog2Print.com. They are having a great sale, 25% off your book order. However, the sale ends tonight. Have fun. These are the two photos that I'll be using for the front and back covers. This year, I'm having a book printed for every four months. I always try to use photos taken during the time span included in the book. As you can see, I had a busy, yet fun, day. Obviously too much fun to go through that big stack of magazines and junk mail that I had planned on doing away with. Sighhhhh, I guess I'll have to do that wicked chore today. Another thing that kept me busy yesterday afternoon was playing with my collection of beads and charms. Trying to match these items to individual persons takes quite a bit of time, but oh my it is really such big fun! So much fun that before I knew it, it was time to make supper and I had to put my toys away. My little Bamboo plant is getting tall, already twice the size it was when I bought it. I'll have to pick up a package of small stones so that I can re-pot my plant into a bigger container. As for the container, I haven't decided yet what I'll use. I have a couple small glass bowls that might be nice. But then a ceramic pot might be nice. Hmmm, lots to think about. It's getting close to lunch time now. These cooler nights make me want to stay under the covers longer in the morning, giving me a late start on everything. So, I think I'll meander out to the kitchen and see what looks tasty in the fridge for our lunch. So, till tomorrow, Y'all have a fantabulous day. Good morning. This morning is just lovely. Today's temps are supposed to be in the upper 70's. 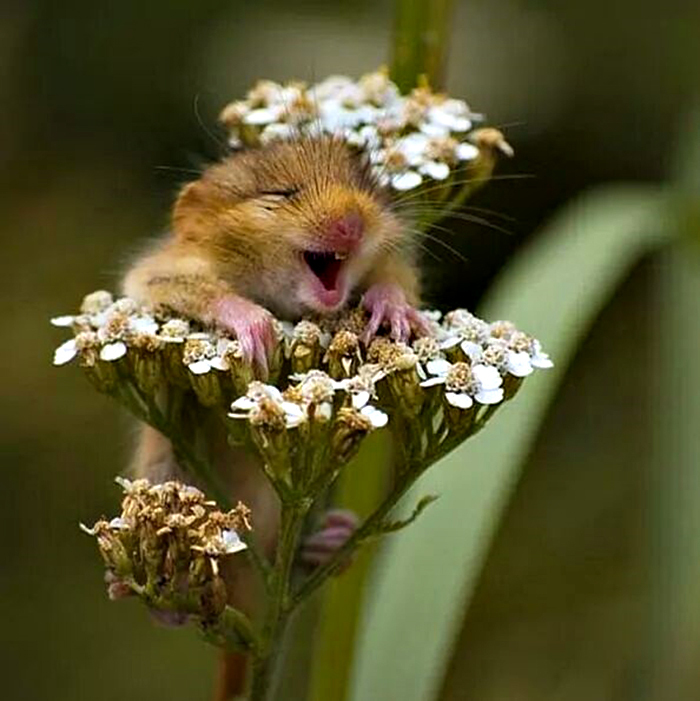 Oh my, that is sooo wonderful! Yesterday, the sky clouded up and the winds blew. 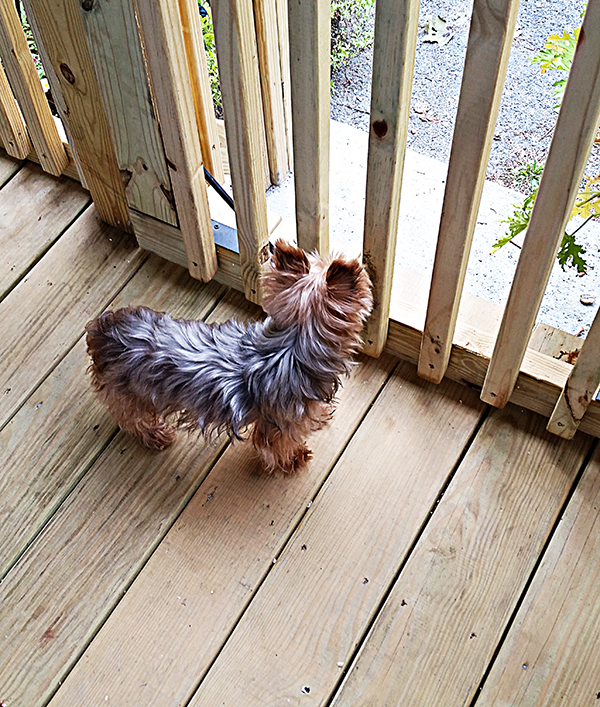 Pogo and I stood out on the porch waiting for the rain. And it finally came! All twelve drops of it!! Someone is getting the rain that comes this way, just not us. I just hope a lot of it is falling into our reservoirs. I certainly hope that we are not going to fill these reservoirs up over the winter by getting tons of snow. For some reason, the snow won't miss us. Actually, I think it is quite fond of my yard. 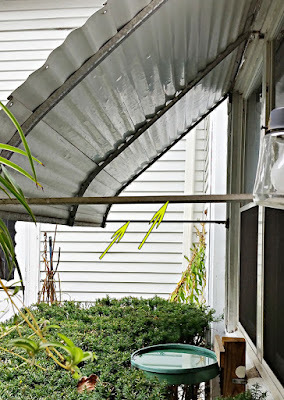 This morning I got a quote from the glass company who came out to see about making me weather covers for the screen panels on my porch. Ouch! Ouch! They must make these things out of gold because the quote was for more than two thousand dollars. At this rate, I may have to just cover the screen with plastic. It's not what I had in mind, but I may have to settle for it. I have a new photo of Aurora to share. Deanne sent this to me a few days ago. Gosh, our babies are growing so fast. Aurora is already six months old. In just a few months, both she and Alima will be a year old. My Pogo is such a cutie too. He was curled up next to me on the sofa, and then we both heard a noise from outside. It was the trash collection truck. Pogo flew to the door and barked at the truck until it left. Happy with himself, he came right back to the sofa and is snoozing away again. What a guy!!! Ever have one of those days when you're sure you've lost your mind and you've finally gone crazy? Every now and then I have a day like that. 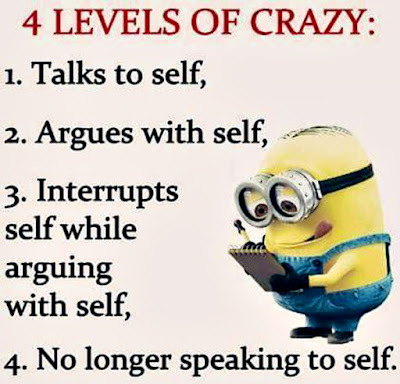 This little Minion image (that I borrowed from the web) says it all. Sadly, I must admit to the last line. Some days I get so upset with my own answers that I just stop talking (to myself)!! How is it that these little guys are so smart?? I have to call the Post Office this morning and find out why a package that Pogo sent to his little friend in Texas never arrived last Friday. He paid for two day delivery. Well, now it's time for me to get busy and order my new blog book. I still have to decide which photos to use for the front and back covers. So, till tomorrow, Y'all have a fantabulous day. Enjoy Each And Every Day. They Are Gifts. Good morning. Tis cool and gray outside with a delightful breeze. Both flags are gently waving, what can I say? It's a gorgeous morning. It feels like it could rain, so I looked it up on Google. One site says there's a slight chance we could get a few showers, and another site says there's an 80% chance we'll have heavy thundershowers. I'm not sure who to believe, but a bit of rain will feel ever so nice. Yesterday was sunny and warm most of the day. 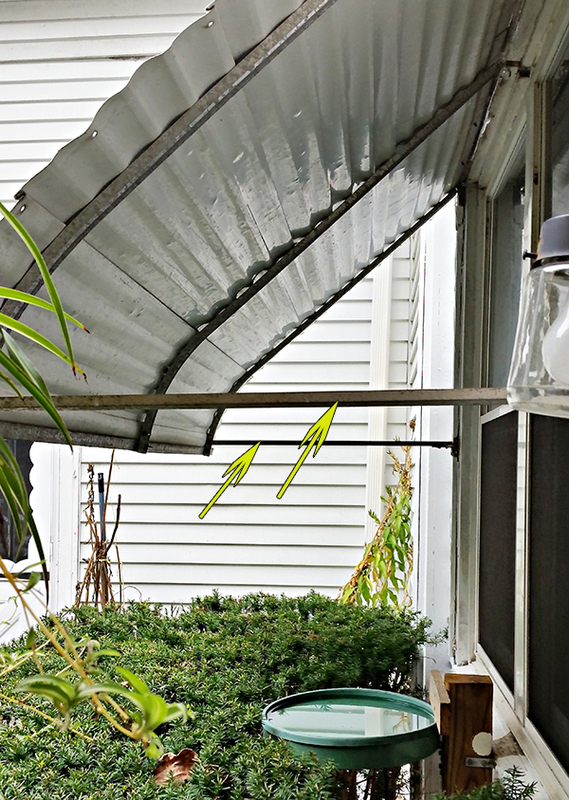 I was talking on the phone and when I looked up I saw raindrops falling off the porch roof. Oh my gosh, this is great! I told my friend that it was finally raining. When I got off the phone, I went out on the porch to see if we got much water and everything was dry. No puddles, nothing wet. Are you kidding? Did it rain, or was I wishing it so much that it really looked like rain? Friday afternoon, after school, daughter Deanne came by and we went to the shooting range for our practice lesson. I must say, we enjoyed ourselves very much. We practiced with three different guns, and this is the one that I did the best with. These are my two best target sheets. Deanne did very well too. That old saying "Practice makes perfect" still holds true. On the top sheet, my first shot went off the paper, then I concentrated and all the rest went right to the middle. Our next practice class is next Friday afternoon. Today I have some new piles of magazines and newspapers to go through and put out in the recycle bin. These things seem to pile up really fast when I am not paying attention. I guess that will be my big project for today. My niece had a stroke recently and is in the hospital, not doing very well at all. Her life saving equipment has been turned off, and everyone has said their goodbyes. Now it is just a matter of time. This is so sad. She is very young and will be leaving behind a husband and three small children. Folks, tomorrow is not guaranteed. It's a gift. So hug your loved ones and let them know how much you love them while you can. Now I'm off to find some mischief to get into with my partner in crime, Pogo. So, till tomorrow, Y'all have a fantabulous day. QP's Will Be Expiring. Get Them While You Can. Okay, I give up. It's hard to figure the weather these days. The best I can figure is that the mornings will be cloudy with cooler comfortable temps, and by noon, or shortly thereafter, the heat will move into the area. At least that's how it has been lately. This morning is lovely, gray and comfortable, but by 1 or 2 this afternoon the temps will have reached 90F degrees. Well, at least the morning is nice. Good morning. I did try to sleep late this morning, but then my conscience got the better of me. Sometime this morning Pogo and I have to go out to do an errand. This afternoon I'd like to get in a little nap. When daughter Deanne gets out of school (she teaches Autistic children grades 3-5), we have an appointment at the shooting range for more practice. For the past two weeks, Joe has been working later every day, and it is messing up Pogo's schedule. He is usually sitting by the door, or out on the porch, every day by 2:30, waiting for Joe to come home. Joe is usually here by 3:25 p.m., but these two weeks he hasn't been getting home until close to 4:30. Poor Pogo. He doesn't understand why Joe doesn't come home when he's supposed to. But he sits there and waits. I took this photo a few days ago when the temps were really cool. Today is not going to be fun for Pogo because I have to leave for my appointment before Joe gets home. I will see if Pogo will take his turkey treat from me, but I'm not counting on it. He usually won't take it from anyone but Joe. My tomatoes are beginning to grow again. I don't know what happened this year, but we did not get very many tomatoes at all. Maybe next year I'll plant peppers in stead of tomatoes. Here's a photo of our new crop. All six tomatoes. It's time to make my next Blog Book, so that means that I'll be expiring all the quick pages through the end of August. 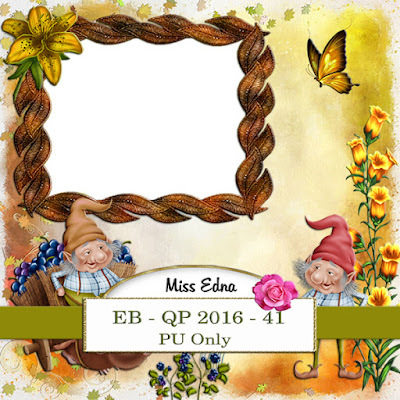 The QP links posted on August 12, 17, 25 and 31 will be up through Sunday evening. Sunday night I will expire them so that I can have my book printed. If you want them, please download them by early Sunday evening. Now it's time for me to get dressed so that Pogo and I can go do our errands. So, till Sunday, Y'all have a fantabulous weekend. The Trees Are Still Green, But For How Long? Good morning. I guess "Hermine" has decided that we deserve another day of super temps, because today will be in the 70's, and the heat will hold off until tomorrow. Woo Hoo! The sun is tucked up behind the clouds, and we're enjoying a little bit of a breeze. I'm still enjoying looking out my door at beautiful green trees, but every now and then a yellowed leaf will float down to the ground. Here and there around town, I've noticed that a few of the trees have started turning color, but just a little so far. I'm sure it won't be long before all the leaves will change color and then start falling. 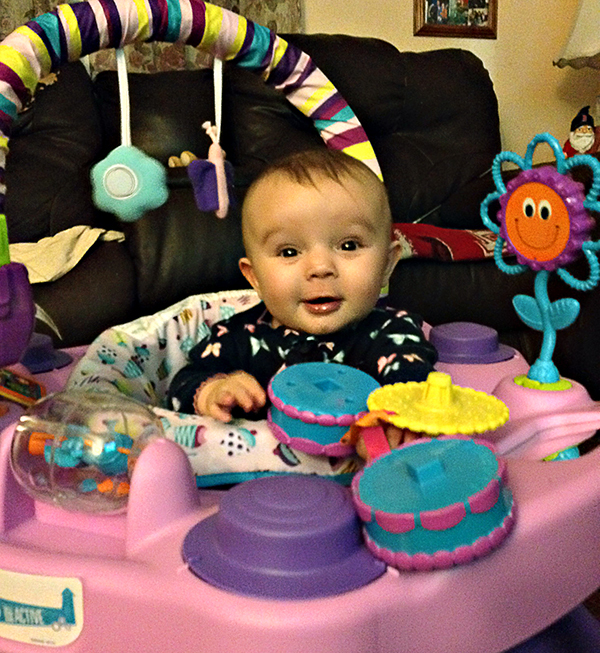 Yesterday turned out to be a much better day for great granddaughter Elena. The big yellow bus was on time in the morning and picked her up for school. Daughter Audrey sent me a couple photos of Elena in her new school clothes and showing off her prized Paw Patrol backpack. Ahhh, these are memories to cherish. Our little ones grow up so quickly. The little kids all wear a plaque showing their name, address, teacher's name and their bus route. I've smudged out all the pertinent information on purpose. But I think it's a great idea to help keep the little ones from getting lost, and getting them on the right bus. Have a wonderful day in school, Elena. I have another photo to share that daughter Audrey sent to me. 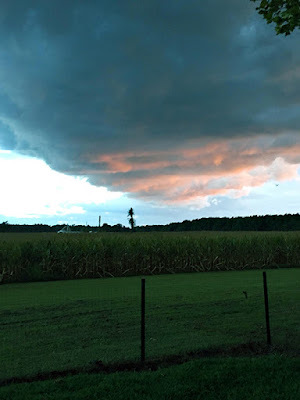 She took this photo in her yard, and it shows a storm moving in over head. She said that the skies to the right of the photo were already much darker. Nice photo, Audrey. Thanks so much for sharing it. 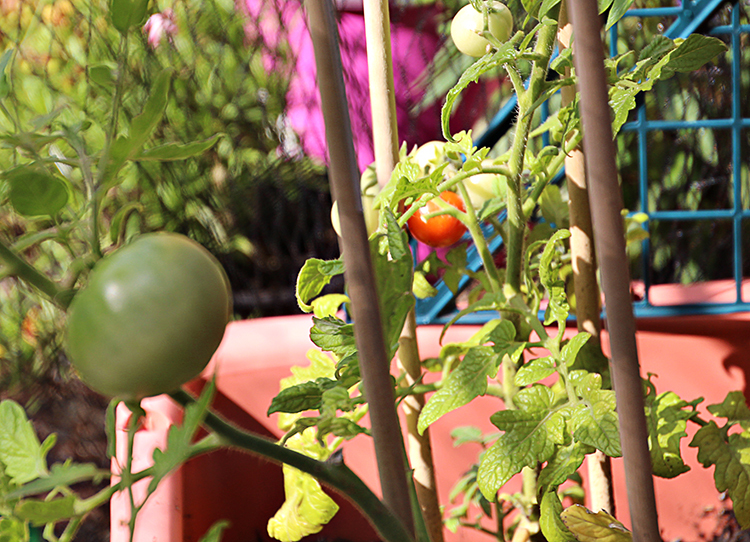 Last night, DIL Janet came by with a large bowl of her garden cherry tomatoes. Mmmm, mmm, mmm. For supper, I made us meatball subs. Oh my, they were sooo delicious! Later, for a snack, I had me a handful of those yummy tomatoes. Today, I'm getting a late start. For some reason I just did not want to get out of bed this morning. Ah, but my little guy likes to eat in the morning, so I finally got up. Now though, I have to get busy and put together my grocery shopping list. Joe and I will be going to the market later this afternoon after he gets home from work. Aside from that, I'll leave today's plans open and see what pops up. On that note, I'm off to catch up a bit with my blog reading. So, till tomorrow, Y'all have a wonderful day. Good morning. Tis another gray, damp morning, but we need to enjoy this because I do believe the warmer (I mean hot!) temps are coming back tomorrow. Well, at least that's what the weather forecast says. We haven't had to water our plants in a few days now as we've had just enough rain each day to keep the grass and gardens happy. Yesterday was a busy day doing .....well, whatever. And then after that, I had me a nice little nap. In the afternoon, Pogo and I went out to pick Jasmine up at school and take her home. I asked her how her day was and she was not so very impressed. This is her sixth year studying Chinese (as a language) and she says she can't retain very much of it. I'm impressed that she can actually read and speak some of it. 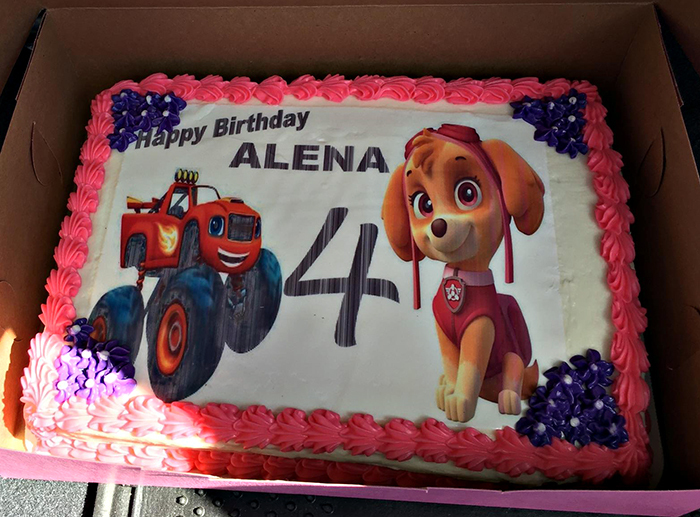 Great granddaughter Alena's big first day did not turn out as well as she expected either. 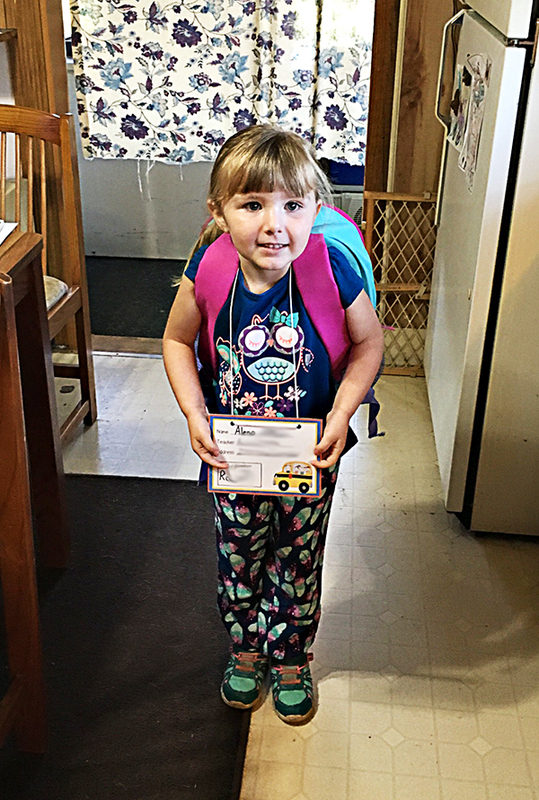 In the morning, the school bus was running very late, so her mom had to finally drive her to her pre-school. Both Mom and Grandma were late for work. Hopefully, that big yellow bus was on time this morning. Last night, I had no problem falling asleep. Ahhh, blessed sleep! It felt so good that I did not want to get up this morning. Sometime today or tomorrow morning, Pogo and I have to make a quick run to the Post Office to get a box in the mail. One of his little friends is having a birthday this weekend, and Pogo has a little something to share with his friend. No, I won't spoil the fun and tell you what it is. 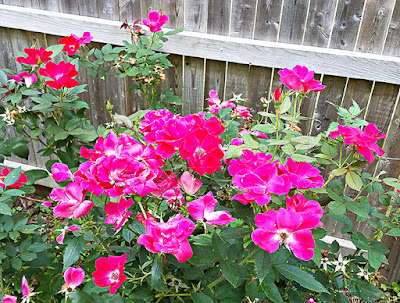 I do have a couple photos to share that I took out in the yard this week. Sorry they are not so good, but sometimes when Pogo's leash is yanking on my wrist the camera shakes when I'm trying to take photos. These are some of my red and pink Knock Out Roses. I have a new quick page for you. I used several of Kyras' kits to make this page. 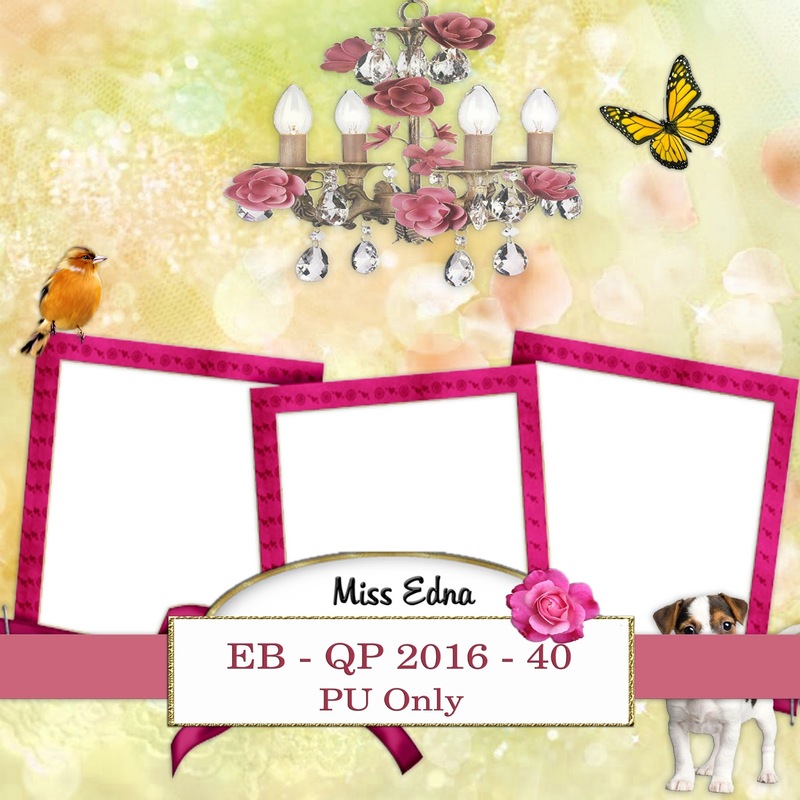 All the kits are listed on my TOU. Enjoy! Now I think I'll catch up with a bit of my morning blog reading, and then maybe chase a few dust bunnies around. Or something. I'm sure I'll think of something. haha. So, till tomorrow, Y'all have a fantabulous day. Good morning. Well, all the kiddies around these parts started back to school this morning. Have you ever watched an elementary school bus unload all of its passengers on school property on the first day of school? 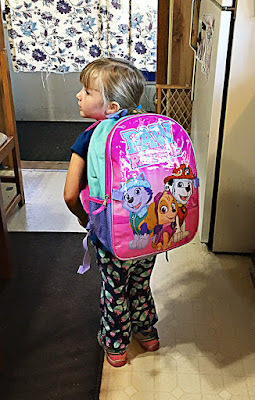 The doors to the bus open to unload a sea of backpacks that are attached to happy little people dressed in crisp new outfits and all wearing smiles. 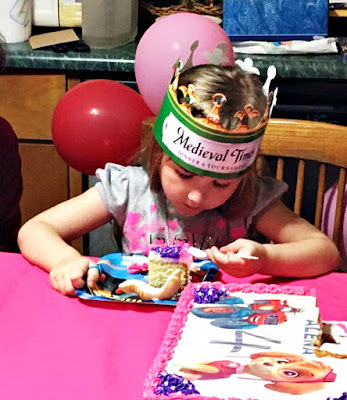 It was an extra special day in daughter Audrey's home. Today was the big day that her granddaughter Elena has been waiting for all summer. Audrey and her daughter Andi waited with Elena at the end of their long driveway for the big yellow bus that would come to take Elena to her first day at pre-school. This is a big day for Elena. And for Mom and Grandma too. The baby is beginning to grow up. I know it seems as though the next fourteen years will take forever to go by, but they don't. While you're busy taking care of your little one and trying to make a good life for her, the years are going to fly by and pretty soon you'll be making plans to attend her high school graduation. Goodness, where has all the time gone? 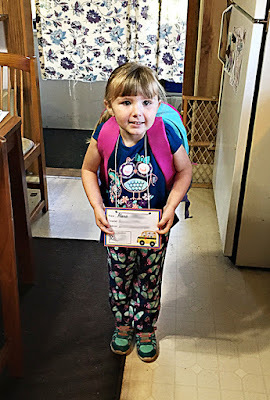 It wasn't so long ago that I waited with my firstborn at the end of our driveway for the big yellow bus to come take her off to her big school adventure. The years went by and all my children got to ride that bus. And then all my grandchildren had their turns. Soon, my great grandchildren were in amongst all those brand new backpacks and shiny faces getting off the bus. Through all of life's ups and downs, life has been (and still is) pretty good for me. Yesterday we were treated to a fabulously gray, windy and wet day. Not too much rain mind you, just enough to wet all the grass and plants and make lots of puddles for the birds to play in. Every now and then a gust of really brisk wind would come our way, and the trees would sway back and forth as though there was dance music playing somewhere. I tried to take a little video of the trees swaying in the wind, but like Pogo, they stopped moving as soon as they saw my camera. 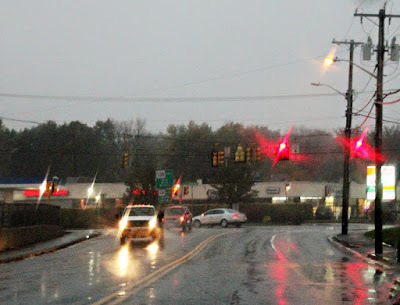 Today is another damp, gray day. We may have a little more of the wet stuff coming our way, but that's okay because we really need it. The air is so breathable, and this makes my nose very happy. Soon the warm temps will be back for a while. Hopefully, we're going to have a really super Autumn this year. Yesterday, I got a lovely surprise in my email box. 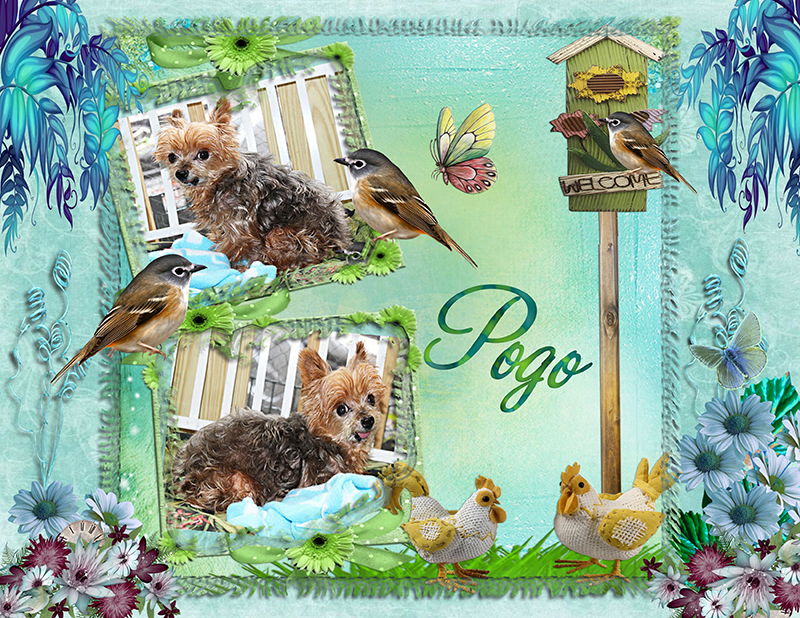 My friend Beth made this beautiful scrap page that features my handsome Pogo. Beth, I love it. Thank you so much. Speaking of Pogo, this little guy really knows how to push all my buttons. I cooked him a nice steak for supper last night. Of course, he turned his little nose up and refused to eat any of it so I put it in the fridge. At one a.m., just as I was nodding off to dreamland, he decided that I should get up and get his supper. He was hungry now. Well! Pardon me!! Ah, but like a good mama, I got up and gave him a plate of his steak. He ate it all, and as soon as he saw that I was wanting to go back to bed, he decided that he was still hungry and wanted more food. Grrrr!! Okay, so I got him some more to eat. He finished that and then curled up in a blanket on the sofa and went to sleep. Unfortunately, I could not get to sleep. By now, I was wide awake. I finally got to drift off around 5 a.m. this morning. Ah, the joys of motherhood. Here's a photo I took of my little guy a couple days ago. How am I supposed to get angry or stay mad at something this precious? I can't, and I don't. Life is too short. I'm enjoying every minute with this fantastic little guy. Now I see the mailman coming up the driveway with an armful of magazines and a package. I guess I'd better get out there to see if any of these goodies are for me. So, till tomorrow, Y'all have a fantabulous day.